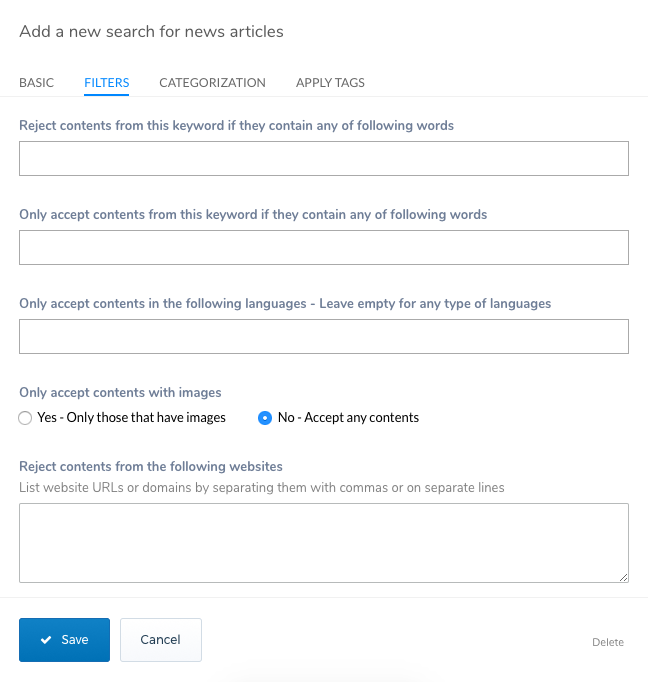 As we mentioned in Introduction Dub parking site is a content-driven one and one of the main ways through which the content is added is via keyword searches. You can manage all of your keywords in the Keyword Manager as showin in screenshot 1. Click on the + New Keyword button on the top right hand side and you will see a dialogue pop-up as displayed in screenshot 2. 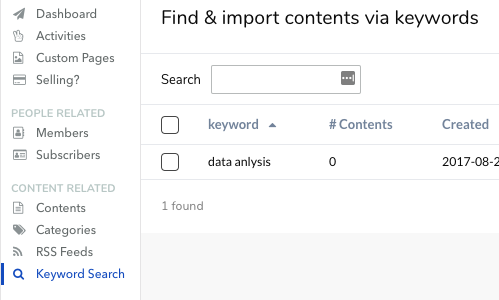 In Basic tab, you can type in a keyword that you would like to search for contents. We strongly recommend that you be as specific as possible. For example, if your parking site is about Data Analysis, instead of Data, you can type in Big Data Analysis, Data Analysis Tools, Data Analysis Methods etc. This is to prevent any spurious contents being imported to your parking site and degrading the overall focus of what your site should be. You will also see a list of content sources which Dub crawls to find contents. You can select any of them and Dub will periodically check each of the sources to find your relevant contents. As contents are discovered and imported to your site, you may wish to filter out some of them based on certain criteria. Youc an apply these filters via Filters tab as shown in screenshot 3. Dub offers many filters. For example, you can make sure that you only collect contents with images or with certain text length. You can also filter out contents of different languges or by the website that these contents are coming from. We recommend you to try out different filters and see how contents are filtered out as they will play a vital role in ensuring the quality of your parking site's contents remain high and relevant. 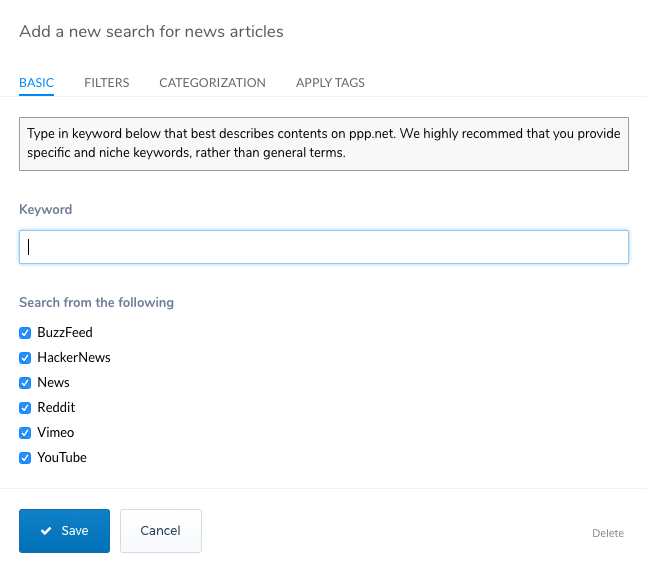 The last two tabs are in regards to applying automatic categorization and tags to contents found by these keywords and they should be quite straight forward.